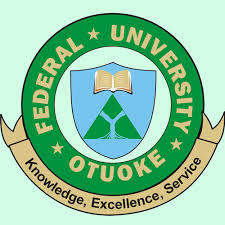 Federal University Otuoke (FUOTUOKE) UTME Admission List of Candidates of Offered Provisional Admission for 2018/2019 Academic Session. This is to inform all candidates who applied for admission into the Federal University Otuoke (FUOTUOKE) various degree programmes are to commence checking of their admission status for 2018/2019 academic session. FUOTUOKE admission list has been successfully uploaded online on the School Portal and can be accessed also via the JAMB CAPS portal. The following are candidates who have accepted their Offer of Admission into Federal University Otuoke for the 2018/2019 Academic Session. Kindly Visit the link http://fuotuoke.edu.ng/admission-list-20182019-academic-session to access FUOTUOKE Admission list for 2018/2019 academic session. NOTE: Prospective candidates are to follow the guidelines below to Accept or Reject Admission Status via JAMB CAPS. 1. Simply login to JAMB website via http://www.jamb.org.ng/efacility/ with the email and password used during JAMB registration. 3. Proceed to print admission letter.